For you who want to take a vacation to Bali but have a single status, don’t be hesitate because there are many interesting things to do with an entertaining place. An exciting and cool place for you bachelors, Hidden Canyon, Beji Guwang. Located on Jalan Sahadewa, Gianyar Regency, Bali. This super beautiful canyon does not only attract the attention of domestic tourists but also foreign tourists. 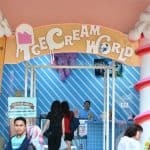 One more destination that is worth to visit for the bachelor who love ice cream taste, namely Ice Cream World Bali, the most sought after. A new tour which is located on the Street Pass Ngurah Rai Number 4, Denpasar. Room with cute themes, cheerful colors, super Instagenic properties. It would be a paradise for aesthetic photo hunters. The important thing is you can get relax while enjoying super delicious and tempting ice cream dishes. It would be amazing to taste the touch of ice cream in the hot weather. There will be so many varieties of menu offered. Therefore, you will be satisfied and eager to come back again. 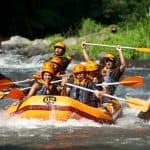 You can try the things to do in Bali for bachelors with pure water rafting on the Ayung river, Bali. At this location, you can see the flow of water that is fierce and exciting when used as a rafting activity with relatives and colleagues. You can enjoy some of the outdoors, beautiful scenery and treats after rafting with various traditional Balinese menus. After rafting, you can relax in the resting place that was already provided. Moreover, your vacation will be more memorable and challenging. Read more about Amazing Things That Included in Must Do in Bali Bars. 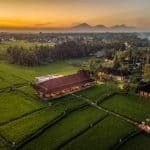 The Chedi Club is one of the luxury resorts located in Ubud and the only destination where you can enjoy the beauty of Ubud from a hot air balloon. In this place, there are many high-end and complete facilities. In addition to offering the beauty of nature and the surrounding landscape you can also relax enjoying everything freely. You can go around by vehicle, on foot or by the hot air balloon that has been prepared. You will be satisfied for sure to linger on vacation in this cozy place. You can invite friends, relatives, family or even those who have a honeymoon partner. Another hidden paradise in Bali is located inside the West Bali National Park. 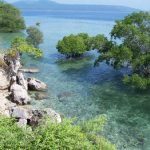 Forest and savanna habitat, the rest of the volcano, hundreds of flora and fauna species, to the sea and waters that frame the whole, Making this place worthy of a visit, you can enjoy a beautiful and enchanting natural atmosphere. is definitely suitable for swimming. 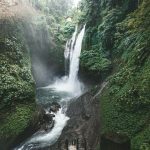 Things to do in Bali for bachelors will drive you to Aling Aling Waterfall. You can swim or just relax, enjoying the beautiful nature. In this place, you will see how cool nature is in Bali. Lake Batur Kintamani is the largest lake in Bali and the most visited by tourists, which is one of Bali’s beautiful and unrivaled natural charms. Located on the second highest mountain in Bali, namely Mount Batur. This one is suitable for you who want travelling along the beach while enjoying a typical Balinese culinary tour. There are a lot of rows of dining tables and chairs provided on white sand that will amaze you. Jimbaran Beach is famous for its beach cuisine, especially seafood and its natural beauty. The waves here are so calm and harmless that you should not worry about having your culinary there. You can enjoy the sunset while relaxing with the cooler night air. There is also a choice of restaurants and bars along Jimbaran beach, where you can hang out spending the night in Bali. Things to do in Bali for other bachelors is to enjoy the beauty of the land of Lot or also known as Tanah Lot. This is one of the tourist attractions in Bali which is famous for its beauty, especially at sunset. It is a Pura building consisting of two temples which are used to worship the sea god. The uniqueness of this temple is located on a large rock in the middle of the beach. When it’s in pairs, it can’t approach Tanah Lot Temple, because around the buffer rock it will be flooded with sea water. At low tide, some benign sea snakes will be seen. According to local residents, the snake is a guard from this temple. A location of a tourist spot in Bali that will bring you together with nature located in Ubud, Bali. Sangeh is a forest inhabited by many wild monkeys. The monkeys here are considered sacred by local residents, so they cannot be disturbed. In other words, they must be left to live freely. Apes in Sangeh really like food, they will try to get food which is carried by the visitors, even though the food is put in the bag. 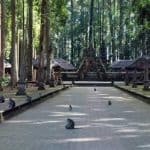 Well, for those of you who want to get to know the Sangeh forest. You can get around enjoying the atmosphere there but you should be careful when carrying food and drinks because you could be attacked by the monkeys. You may feed the apes but avoid disturbing wild apes or getting them angry or insulted by you. Lazy Cat Cafe, for those of you who want to feel a perfect place to relax and laze in the morning, Lazy Cats cafe is the right choice. Its location in Ubud will definitely make you feel the comfort of the surrounding environment that is still beautiful and green. Coupled with fresh air that can calm the mind. This cafe has a beautiful interior with a vintage and retro feel, located on Jalan Raya Ubud No.23, Ubud, Gianyar Regency, Bali. 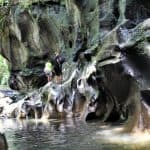 Well,that’s all about things to do in Bali for bachelors, hopefully, it can be a recommendation for you who want to choose Bali as a choice for vacation destinations.